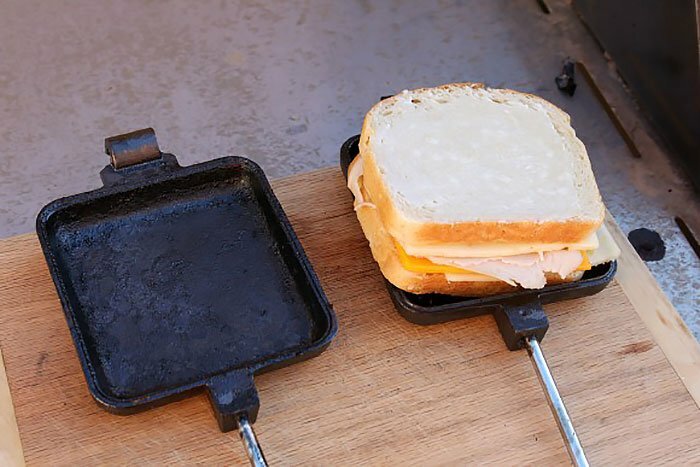 Learning how to make grilled cheese in your pie irons is probably the first thing you should work on when you get them. 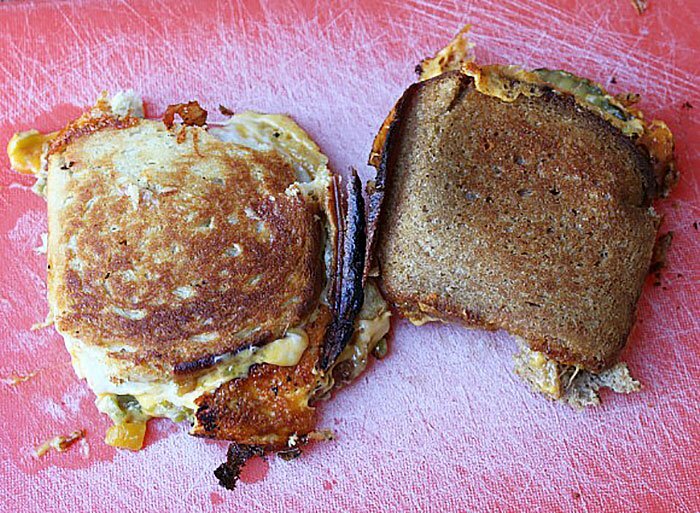 Grilled cheese sandwiches generally make everybody happy and can be anything from a simple cheddar and bread sandwich, to the more complex Jalapeno Popper Grilled Cheese (see below). It’s really only limited to your appetite and what’s packed in your ice chest. 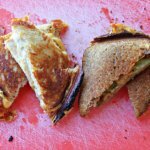 In this recipe, we start with a basic plain grilled cheese as an intro to working with your pie iron, but if you want to mix it up with some more complex recipe ideas, we’ve added a couple of ideas for you to try out. 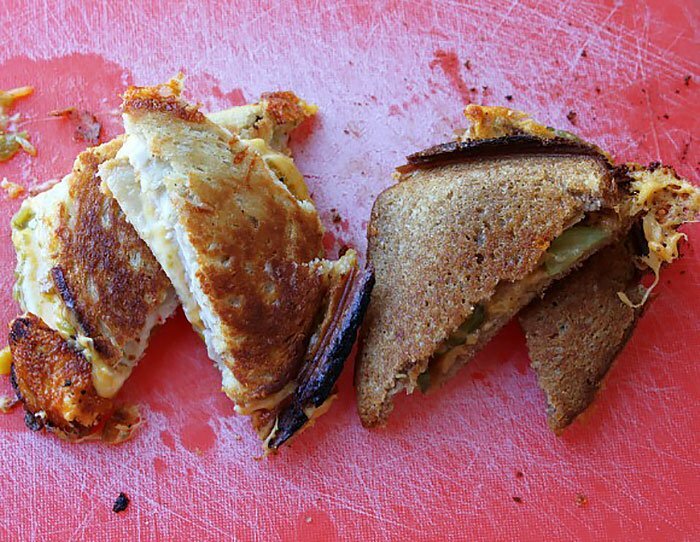 Below are some examples of elevating your grilled cheese. There are hundreds of other combinations, limited only by your personal taste and imagination. Extra wooden cutting board or metal grate to put hot pie irons on. There’s really no prep needed at home, unless you didn’t buy pre-sliced cheese or have other ingredients that need to be sliced. Just pack your cooler and gear and hit the road. Before you get all of your ingredients out for your grilled cheese, be sure that you’ve got a good bed of coals going. Once your coals are good and hot, its time to get started. 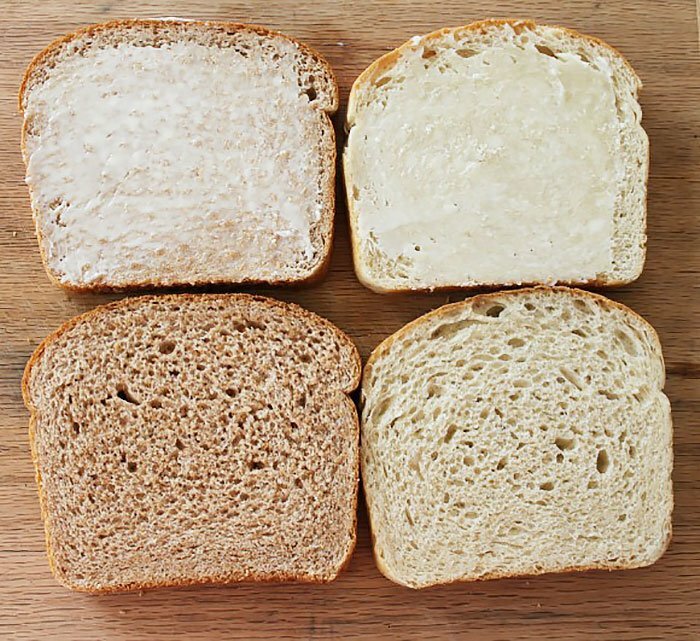 First, lay out two slices of bread for each sandwich. Next, butter one side of each slice of bread. 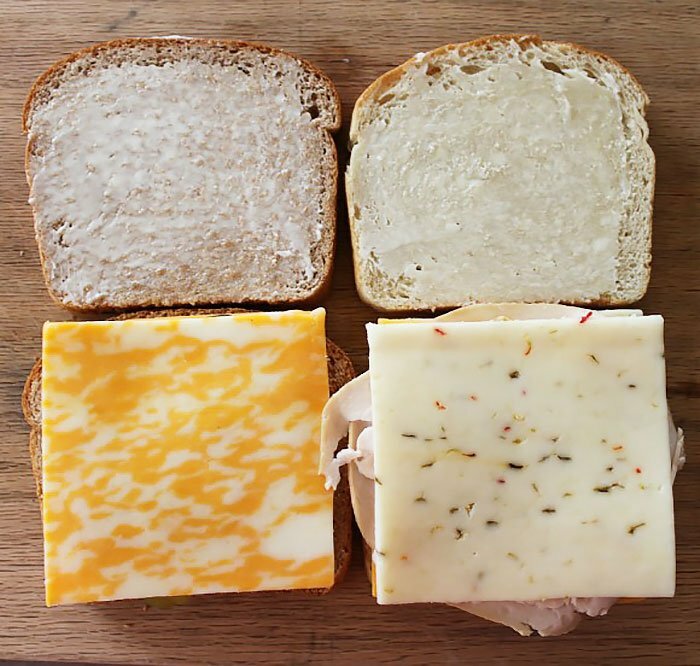 Slap one slice of your cheese onto the non-buttered side of the bread. The buttered side of the bread will be what is touching the metal of the pie irons. 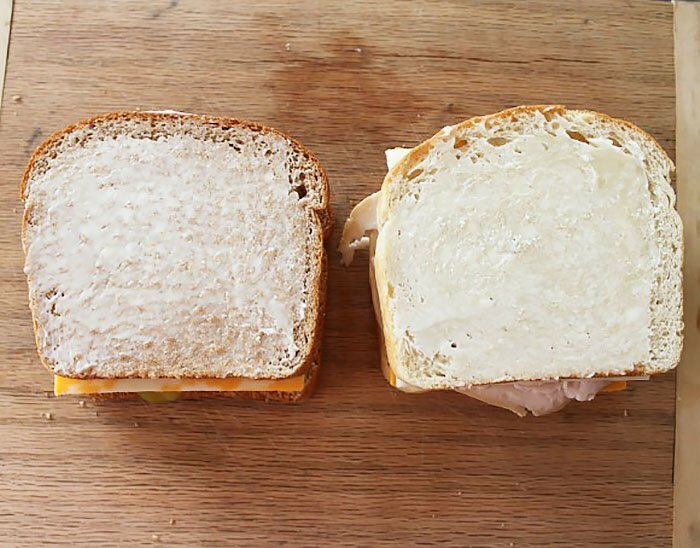 The butter will keep your sandwich from sticking and burning. 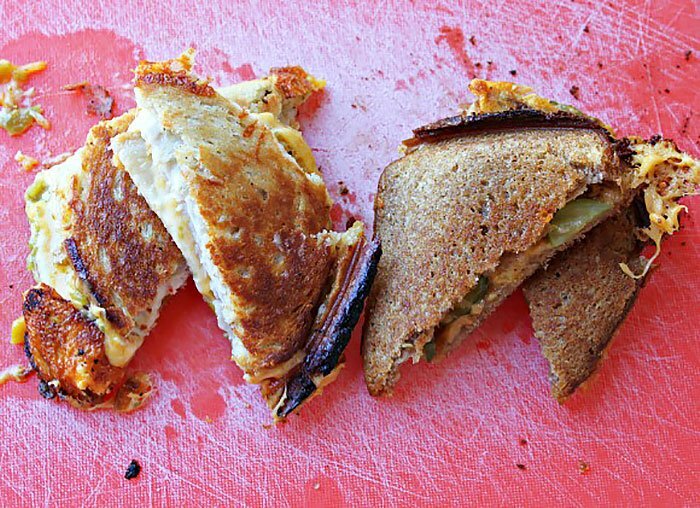 Add any additional ingredients if you’ve decided to go with more than just a plain old grilled cheese. 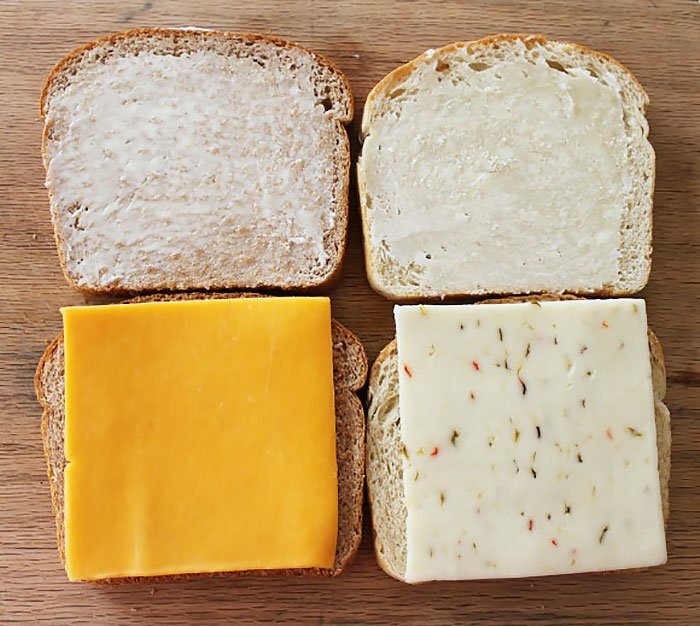 Layer an additional slice of cheese over your additional ingredients. 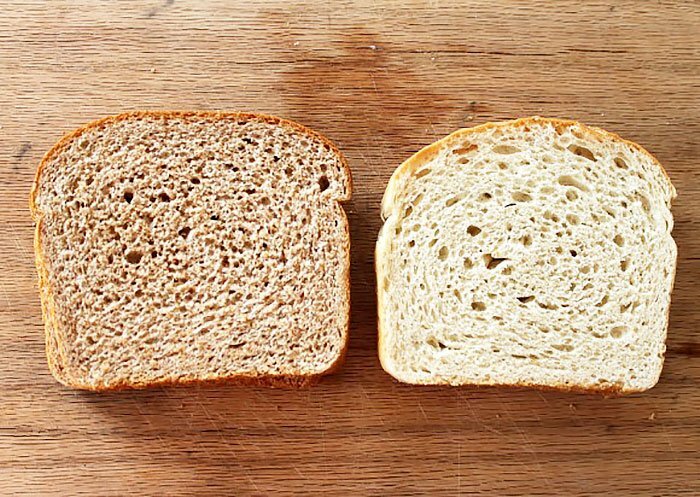 You want your cheese touching the bread so that it gets good and melted (it’ll be closer to the metal, which is the heat source). Keep going if you’ve got more ingredients. Add another slice of cheese. Top with your bread, remembering that the buttered side should be touching the metal of the pie iron. 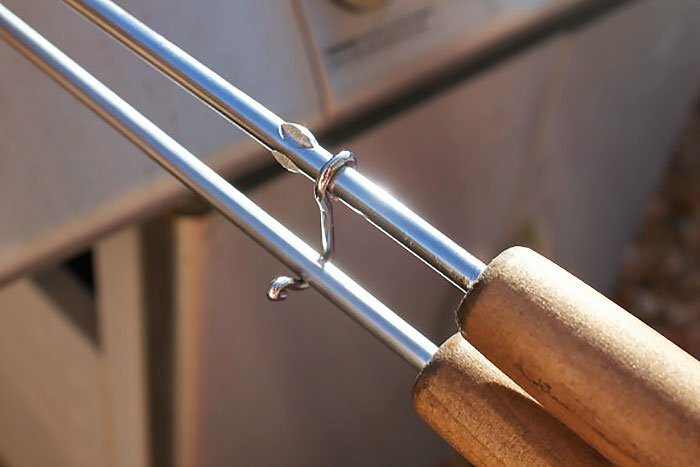 Put your sandwiches in your pie irons and clip together. Remember when you’re cooking to move your pie around in your coals so that they don’t get hotspots and burn. 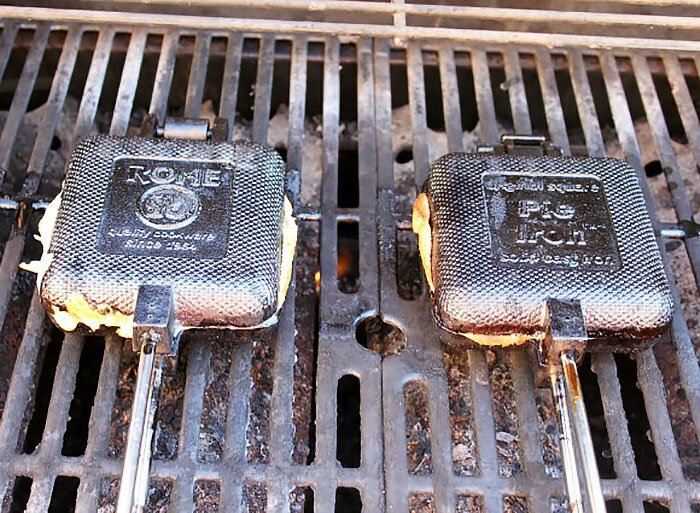 You don’t need to get your pie irons screaming hot, so the hottest part of your coals isn’t always the best. You could end up with burnt bread and barely melted cheese. You do want them to get toasty though, so don’t be too bashful. You’re goal here is to lightly toast the outside while getting the inside piping hot. Cook it too hot and it’ll burn the outside and not give enough time to get the inside hot, too cool and it’ll be hot, but the bread will be soggy and un-toasted. You can unclip your pie iron and take a peek to see how things are going if need be. When they look like they’re done, carefully un-clip your pie irons (gloves come in handy here) and plop your hot grilled cheeses onto a heat resistant surface (I use a wooden cutting board). Pst… It’s even better with some tomato soup to dip it in. 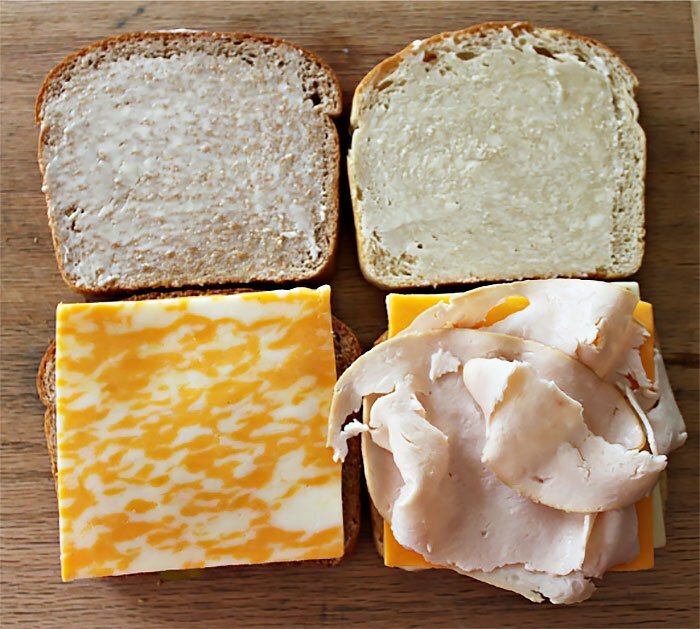 Lay out two slices of bread for each sandwich. 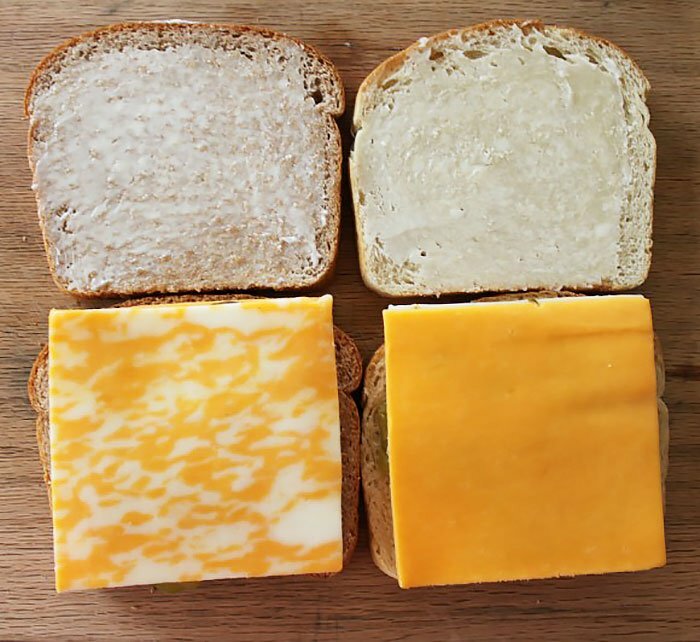 Put two slices of cheese on each sandwich. 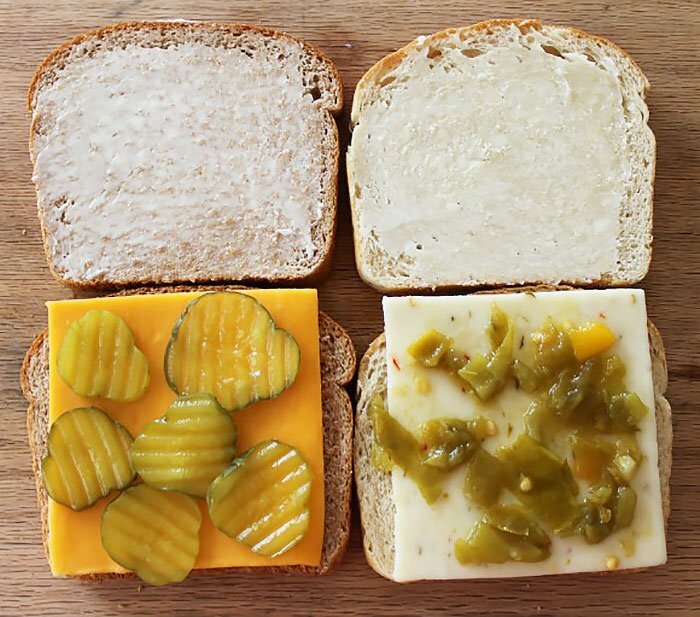 If adding additional ingredients, put them in between the cheese slices. Be sure to move the pie iron around while cooking so that you don't get hotspots. Also, don't put your pie irons in the hottest part of the fire. Use gloves when taking sandwiches our of your pie irons.